The elbow, wrists, hands, ankles and feet are susceptible to the same kinds of progressive pain that affect other larger joints. The elbow joint itself can cause pain as well as the inside (medial) and outside (lateral) aspects of the elbow, resulting in ‘tennis’ and ‘golfer’ elbows. Of course, you don’t have to play those sports to experience these kinds of repetitive motion injuries. 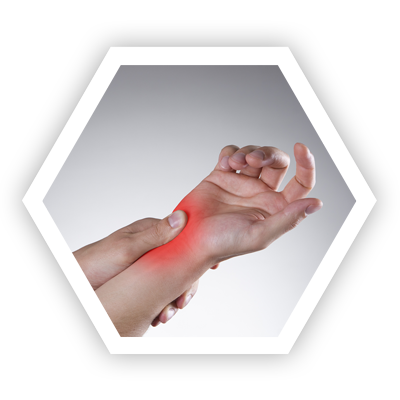 The wrist and hand are complex and based on the history, may produce wear and tear injuries or accelerate arthritis related damage to the joints and supporting ligaments and tendons. The ankle joint and feet may be a primary cause of pain and dysfunction, or they may be secondary to a knee or hip issue. Often we subconsciously change the way we position out feet when standing or walking, in an attempt to reduce knee or hip pain. Sometimes the primary issue is in the foot, such as plantar fasciitis or peroneal tendonitis. A history of recurrent ankle sprains as a youth may lead to increased pain and dysfunction as an adult. These conditions may require further imaging to help diagnose the source of the pain. Fortunately, there are often treatments the patient has not been offered which could improve their outcome.